Regarding the gravity pallet flow rack, pallets are placed on rollers that slope toward the pick face by gravity driven, “first in and first out” is achieved. Pallets are fed in from one side, and retrieved from the opposite side eliminating double handling from the receiving area. Speed of throughput combined with automatic stock rotation is the major advantage of this system. h) No aisle needed, save forlift's driving time and less forklift needed. It is suitable for storing goods with large quantity and same type taking full advantage of storage space. It is especially suit for the goods with short expiration date. Brakes should be equipped if the slope is long; separators and buffer is necessary to prevent the goods turn over. The loading capacity is less than 1000kg per pallet. It can be used as buffer storage in shipping areas, production, goods reception and dispatch. Food, beverage, chemical, tobacco and other single species, large quantities and relatively single item product. Date critical cargo such as fruit and food can also be stored. Package export package by steel straps and plastic filims. We ensure the most productive warehouse pallet rack solution is provided whether working from your plans or developing a cost-effective layout that is just right for your needs. 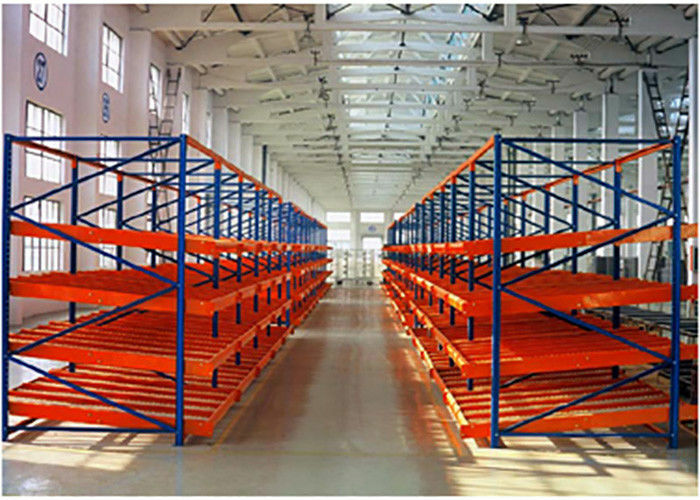 You are assured of the best designed, most efficient and safest racking. 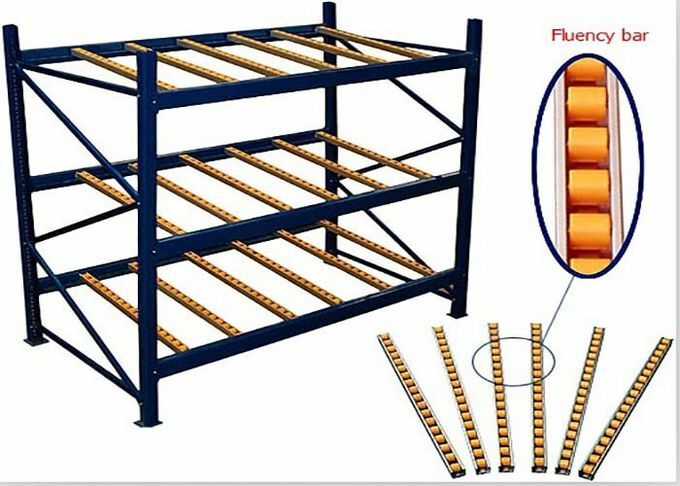 We also supply accessories like collumn guard, barrier, decking panel, adjustable base plate, wire mesh plate, truck rail etc, and other material handling equipment for warehouse storage.